So try this kit out...think outside the box...and see what you can come up with!!! There were VERY few supplies I used that weren't already included in the kit. 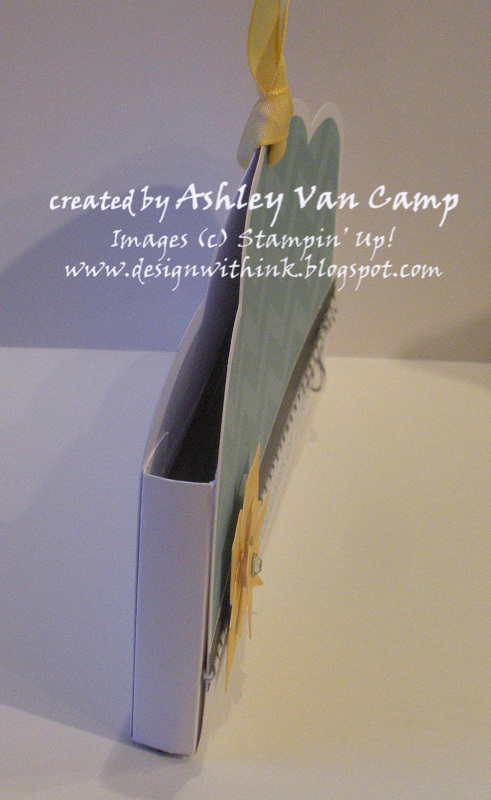 I think just the ribbon on top to hold it together and the strips of Whisper White cardstock to make the sides of the box. I hope you like it! 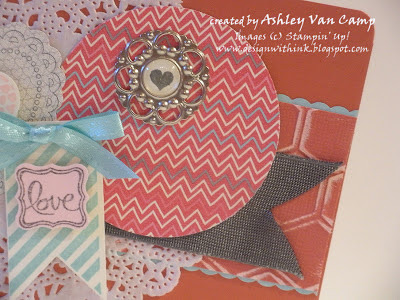 It's a quick and fun card to make. 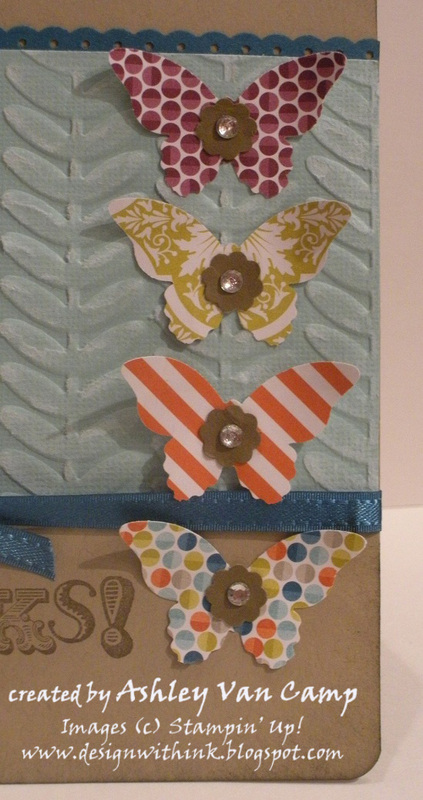 I think the card has a big impact with the pops of the butterflies punched out from the fabulous Sale-A-Bration Designer Series Paper. Too much fun!!! 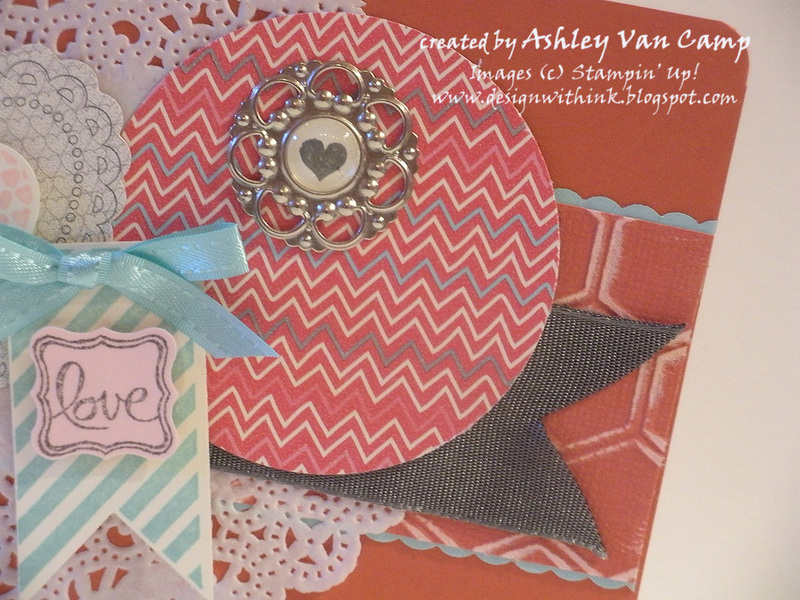 Love that "Thanks" sentiment from the "Vintage Verses" Sale-A-Bration stamp set! So much fun! And the background is embossed with the Sale-A-Bration embossing folder. 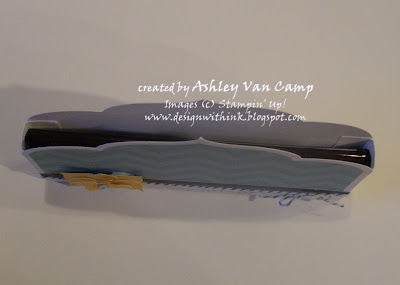 Then sanded down to get the lighter color to show on the Core'dinations Pool Party Cardstock. So much fun to use! What a fun combination of a whole lot of products...right?! 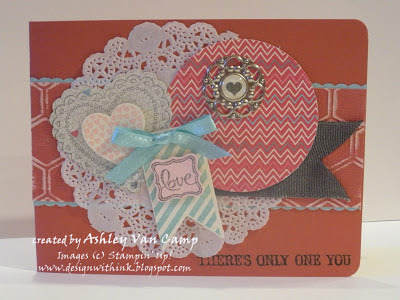 My inspiration for this card came from one done by a very talented demo, Kimberly Van Diepen. It was fun to add a bunch of fun new products (can you even count how many new products are used?!) Talk about seeing the Occasions Mini put to good use!!! 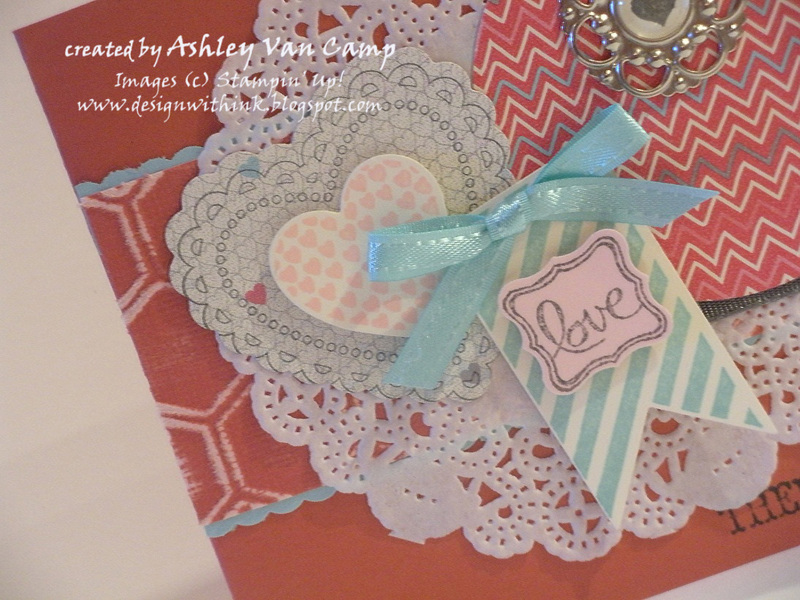 I used new Designer Series Paper, Accessories (Doilies, ribbon, brads), Stamp Sets, Framelits, Embossing Folder, Core'dinations cardstock, etc! 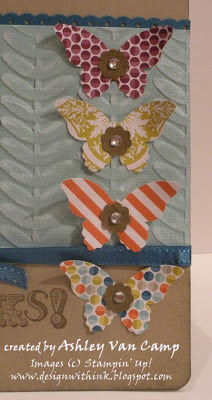 I even used a couple Sale-A-Bration products! (Get one FREE with every $50.00 in merchandise ordered!!!!) 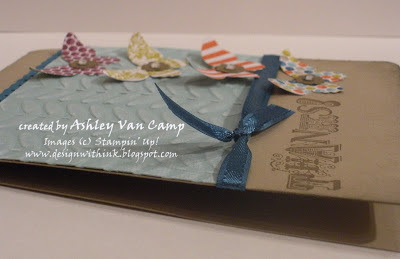 I used the small Curly Label punch, Vintage Verses Stamp Set, and Pool Party ribbon. Too much fun!!! I hope you enjoyed this card! Thanks for stopping by my blog!!! Hello, again!!!! I have some major updating to do to my blog! Sorry I have been gone so long! It's not that I haven't been busy! I've just been too busy these days! But I am back! And have lots to share! Let's get started! 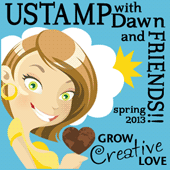 Have you heard of UStamp?! It's an online membership that you join and get access to LOTS of fun project ideas. And the best part...there are FULL TUTORIALS for ALL the projects shown! It's a wonderful site! Maybe I love it so much because I am one of the designers for this group. :) SOOOOO...I am going to share with you the project I designed for this round that is currently going on. 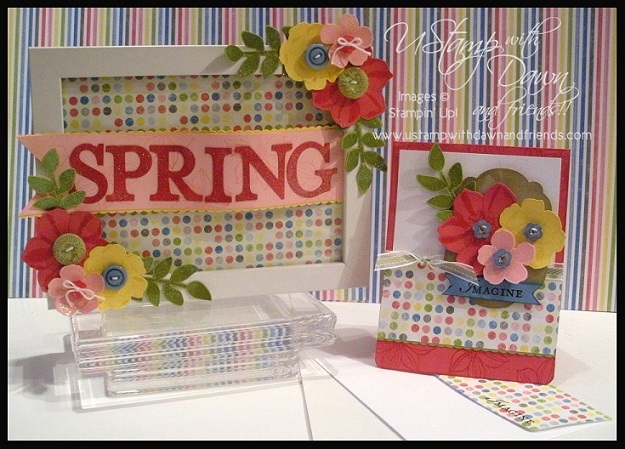 Does it get you in the mood for some WARM Spring weather?! And fun blooming flowers?! It sure does for me! (I live in Utah, and we have had snow DUMPED on us all winter it seems! I don't know if it will ever melt!!!!) To get more details and the FULL tutorial for this and MANY MANY other projects...come join us on UStamp!